1 day Private Tibet Lhasa Tour provides the highlight attractions in Lhasa, including Potala Palace, Jokhang Temple and Barkhor Street. You can enjoy the highest palace in the world, the most sacred temple in Tibet and local Tibetan street. Our local Tibetan guide is very friendly and knowledgeable. And the driver is very experienced. They will offer the best service. So you will learn much Tibetan history and knowledge during the tour. Meanwhile, if you have any questions, feel free to ask since they will be glad to help you. 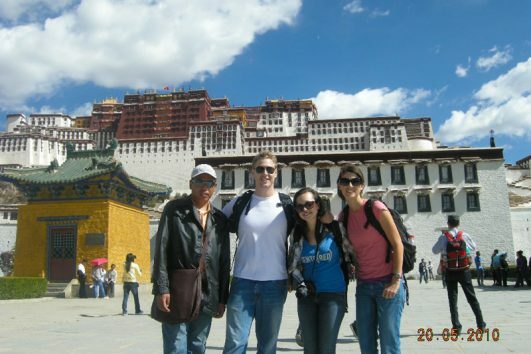 Tibet Travel Expert is born to be your tour guide with local service. Thus, if you like our service, you can recommend to your friends or colleagues. We are happy to welcome anyone who want a wonderful Tibet trip!